Ask a child what celebration gives him or her maximum happiness and you are most likely to get the answer that its their birthday celebrations. 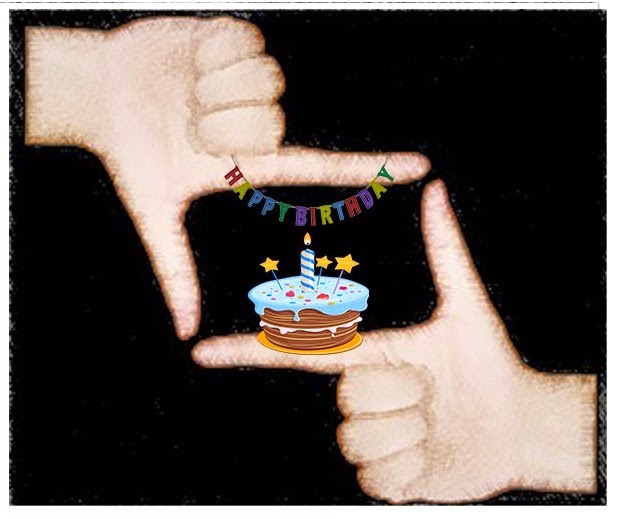 When I was young I too felt that my birthday or better still “My Happy Birthday” used to be the occasion that gave me maximum happiness. When I got a bit older the source of my happiness expanded and I began to celebrate major festivals ,new years parties, weddings and anniversaries , they gave me immense happiness as they meant fun time and celebration. The food used to be good and so was the entertainment that made me feel so good.I looked forward to every invite and prepared in advance a list of clothes that I would wear and good food was always high on my agenda I almost always used to have a mental list of items that I would like to try at a party right from the starters to the dessert every thing that was on the menu had to be tasted and savored by me . All these celebrations made me yearn for more such celebrations to happen. However these celebrations are not takeaway meals that one can just phone and order or have them delivered through an online delivery service. Then I began to feel that the happiness and celebration in my life were limited to only a few days and occasions in the year. What if these celebration came in small packets and got delivered to me and my family everyday? So now I celebrate that extra lap of jogging in the morning that makes me celebrate the fact that I am fit and getting into better shape. Sitting in my balcony and reading the morning newspaper and letting the morning breeze flow into my home and my life is a great way to celebrate the beginning of the day ahead.A hearty nutritious breakfast with my loved ones in the morning is the event of the day that helps me tank up energy for the day ahead. It is also the celebration of preparedness to face the days challenges. I celebrate the moments of freedom and carefree commute to my office by listening to my favorite music in my car. I celebrate being fit by taking the stairs to my office instead of taking the lift. 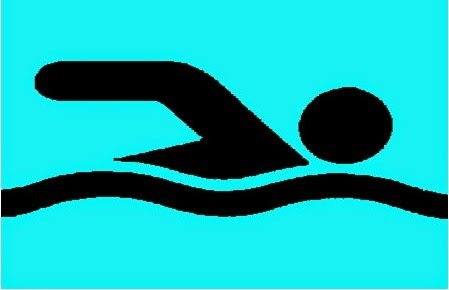 When I get back home in the evening I unwind by taking a dip in the heated pool that is close to my home and these swimming sessions are a celebration of a day well spent working hard at the office. Then spending quality time with family and friends is another way to celebrate life on a day to day basis. A dinner with my family when we discuss the days events and enjoy our food together is a great way to ensure that the celebration of life continues on a daily basis without any punctuation's or stops in between. All images have been created by me. It was a sweltering summer afternoon and I was going in my office cab to an important meeting. As I adjusted myself on the rear seat trying to get maximum cool air from the car’s A.C the world seemed to melt outside with the sweltering June heat. I felt I was lucky that at least I had some respite from this sticky sweaty summer heat. Perhaps I had thanked my stars a bit too soon as just then the car came to a grinding halt. The driver tried to start the ignition once again but it would not respond. I had no option but to help him push the car to the side from the middle of the main road. Even with this little physical effort I began to sweat profusely. I was feeling the strong sun rays beating down on me and this was making standing in the sun very difficult. I asked the driver to fix the car and walked towards a nearby construction site in the hope of getting some shade. Walking a few meters only had sapped me of my energy and I felt my throat parched. All I needed now was some cold water to quench my thirst. There was no shop nearby from where I could buy a bottle of mineral water. Then suddenly it struck me that I had a bottle of water in my bag. I frantically searched for it and found it wrapped in a paper napkin buried deep inside my laptop bag. It was still cool to touch maybe due to the air conditioning of the car. Without a trace of shade even holding this cool water bottle seemed like a luxury. I opened the bottle to drink from it and quench my thirst. Just at that moment my eyes fell on two children who were sitting by the road side for I don’t know how long. Maybe much longer then I had been there. Their eyes met mine and I saw them looking in anticipation towards the bottle of water. Their parched lips seemed to tell a story of how long they had been without water. I was too thirsty and could not bother myself with such matters so to avoid their gaze I looked away and lifted my bottle of water towards my mouth. However I felt their gaze piercing me and an inner voice inside my head told me that perhaps they need this water more then I do. I turned towards them and extended my hand to give the bottle to the children. The elder of the two children who was a girl of maybe 5 or six years eagerly grabbed the bottle from my hand I thought that she would gulp down its entire contents in one go but I was wrong. She searched and found a used paper cup and she poured some water in it and fed it to her three or four year old younger sister. The little one drank every drop of that cool water as if there was no tomorrow. Then she poured a little water for herself in the same paper cup. Looking at their satisfaction of drinking some cool water made my day and it was my Dil ki deal. What she did next totally surprised me. She extended the remaining half of the water bottle back to me. I was bowled by her graciousness. I had been without water for only some time yet I was initially reluctant to share my water and here was a little girl who must have been in much more need of water then I was in yet she was willing to share her water with me. This acts of hers taught me the importance of sharing things that are important and precious to you. It made the dil ki deal even more precious for me. As a kid I used to look forward to my summer vacations. It was the time when I used to have fun with friends and play around. In those days skate boards were the most sought after things amongst the youngsters of my age I too aspired to get one but they were expensive. My birthday was far away and so getting it on my Birthday as a present was not a possibility. So I decided to do a summer job and earn enough money to buy myself a skateboard. It was a grueling summer job as it required me to sell products going door to door. The weight of the heavy bag on my shoulder that contained bottles of squashes to be sold and the sweltering heat made my first summer job very difficult. It was only my resolve to get myself the skateboard that kept me going. Every evening when I returned home I used to find my grandmother waiting for me with a glass of lemonade or lassi and some snacks. As I sipped my cold drink and nibbled at the snacks I used to recount all the days incidents to her and she would tell me anecdotes from her life .Then finally the day came when I had enough money to buy myself the skate board. It was a wonderful feeling when I used it for the first time. Standing on it with one foot and then pushing the ground with the other foot gave me the momentum to move forward. The feeling of the cool breeze blowing through my hair was an elating experience. My skateboard became my most prized possession and I began to look forward for every opportunity to ride it. It was so precious to me that I would not let anyone even touch it. Me and my brother were very close and shared all our toys and comics but when it came to sharing the skateboard it was strictly out of bounds for him too. 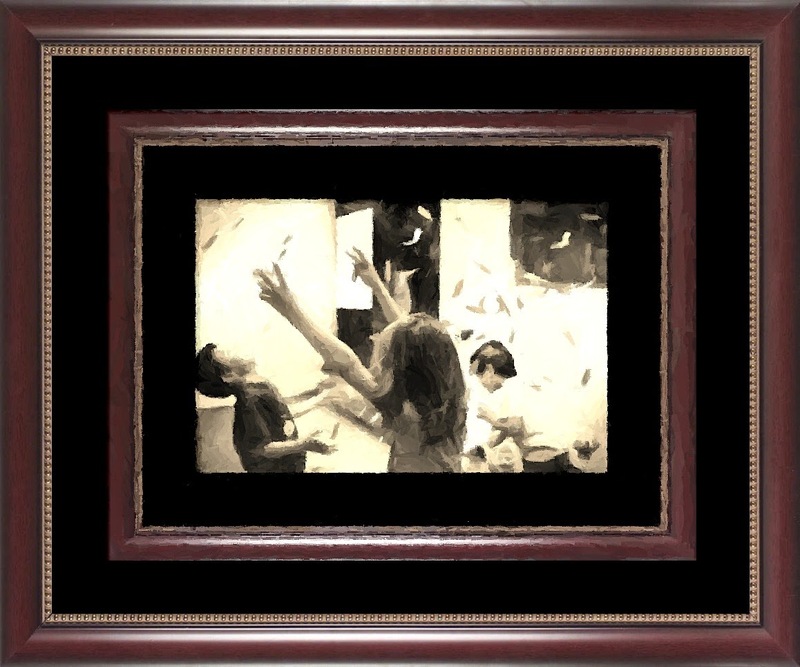 After all it was my most prized possession and what if he scratched it or broke it even this thought was unbearable. I was reveling in the joy of using my skate board every day and then came the day when my grandmother was to go on a pilgrimage. She packed her clothes in her trunk and I was to take her to the railway station. As I lifted her trunk I found it to be quite heavy. I realized that it would be very heavy for her to carry. I could not understand how she would carry this heavy load. Then an idea came to me I quickly put my skate board on the base of the trunk and fastened it with the help of screws and a piece of rope on the underside of the trunk. I attached a piece of rope on one metal handle of the trunk so that she could pull it by tugging at the rope. Attaching my skateboard to my grandmother’s trunk had transformed it into a Trolley bag which she could pull with ease. This caring for her brought an instant smile and glow to my grandmother’s wrinkled face that now seemed to have a few wrinkles less as she smiled with joy. My brother was very surprised as to how I could sacrifice my precious skateboard and I was happy and content that I could do something to make my grandmothers life easy. Trading my skateboard for a little comfort for my grandmother was my dil ki deal. There are quite a few smart phones in the market yet there is very little to chose from. Some are good to look at and some have a good camera. The new ZenFone 2 from Asus is a feature rich phone that is packed with a number of features and redefines the smart experience. ZenFone 2 is a phone which comes from ASUS. Having the ZenFone as its predecessor the expectations from it are bound to be high. I find it to be a good and interesting product that is both stylish and good looking and is a powerhouse of performance. In looks and appearance it offers a Luxurious Ultra-Thin Ergonomic Arc Design . It is slim and trim to look at with a smooth flowing body design . It has a brushed metal Finish and the signature centric circle detailing. The casing is an ergonomic arc that tapers to 3.9 mm at the edge . This give the phone a very elegant and chic look. The button Positions: The volume control buttons are rear mounted and the shutter button is suitably positioned to be operated with ease with the index finger. 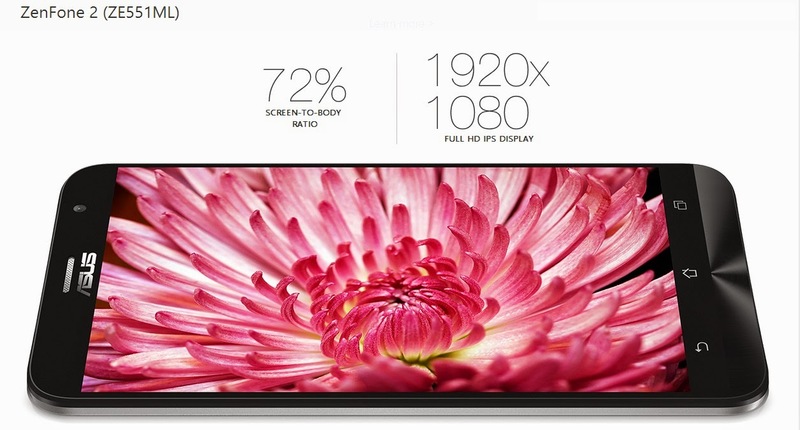 It has a 72% Screen to body ratio. 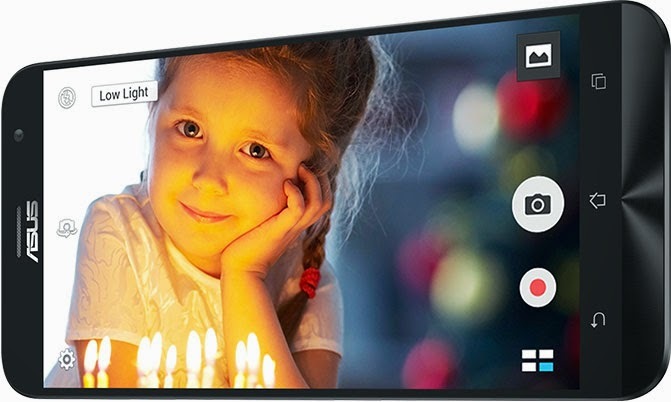 The full 1920 X 1080 HD IPS Display makes every image come to life. Even the gaming and movie watching experienced due to the high quality viewing experience. The 5.5 inch screen comes with a 403 ppi density resulting in a rich and vivid color display. 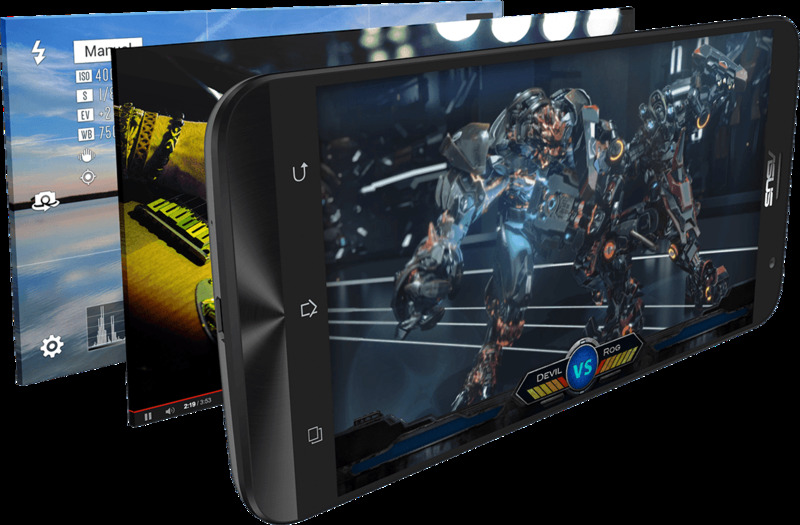 Powered by the Intel Atom Z3580 Processor the ZenFone 2 has a 64 bit processor and can perform up to a speed of 2.34 Ghz. It has up to 4 GB of RAM This makes it the ideal device for everyday tasks like surfing the web, checking the mails or chatting up with friends. For those who have experienced the earlier Zen Fone would find it to be 3 X times faster in day to day tasks and up to 7 times faster during gaming. It has a 60 ms Touch Responsiveness. 3)The Pixel Master Camera. 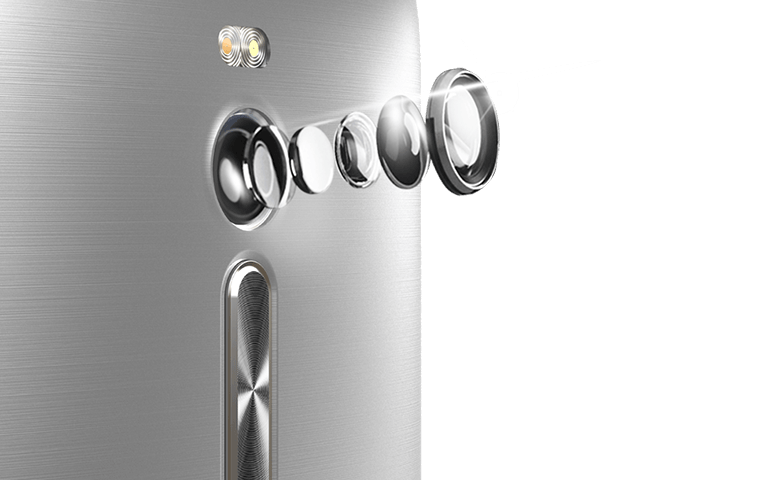 The new Zenfone 2 comes with a 13 MP Pixel Master camera & a f/2.0 aperture which helps it capture beautiful,stunning and crisp photos with zero shutter lag.It incorporates a new industry leading low light mode that uses a pixel merging technology and as a result the night shots and low light shots are up to 400% more brighter that too without the need of a flash. When taking pictures during the day the Super HDR helps us spot the shadows .The phone comes with a Real Tone flash that enables warm skin tones and accurate color in all photos. This is a Dual Sim Dual active feature rich phone: I remember while using some of the earlier dual SIM phones I could have only one SIM operational at a time . 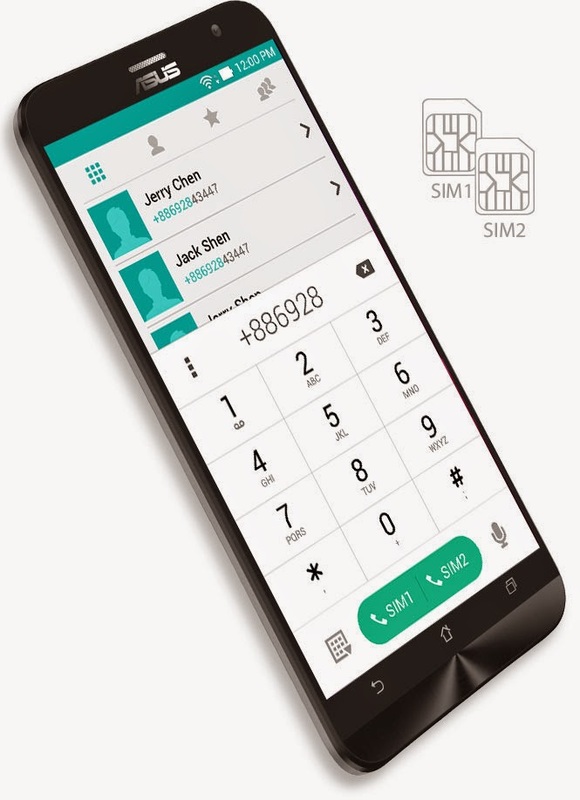 However with the new ZenFone 2 one can make and receive calls with one SIM and if you get a call on the other SIM you can seamlessly switch to that call with ease. My point here is that the commercials have been unchanged for so many years that they have become like folklores making people talk about them and discuss them. So even after being off air Internet jokes about these ads do the rounds and reinforce the brand presence .This IPL season too there would be a slew of adverts. I hope a lot of brand value would be created for the brands and provide great and better entertainment value to the viewers. Ads have become a part of our daily lives and good ads add to the entertainment quotient of the broadcast. Good ads are not only a source of entertainment for the viewers but also help to build up the brand image. This Pepsi IPL, it's not just about cricket. It's time to crash with your own created ad! Make your own Pepsi ad & if it's chosen, it could play on TV during Pepsi IPL! And hey, it doesn't end here… Even if you're chosen as a finalist, you stand a chance of winning a prize amount of Rs.1 lakh! So what are you waiting for guys? The Rajasthan Royal Team are a colorful lot and are best suited to be featured in an advert for the desert festival of Jaisalmer or the journey on the Palace on wheel train. Shahrukh Khan’s media savvy Kolkata Knight Riders are apt to be featured in a number of ad campaigns The cute boy next door image of Gautam Gambhir can help him get a role in an ad for a bike to a suitable groom of any matrimonial site or better still an ice cream or a chocolate. With all the name and fame of Sunil Naraine all that he has to do is say Naraine Naraine and he can be featured in an of any religious channel or product and services such as incense sticks to pilgrimage tours. Mumbai Indians represent a potpourri of cultures and reminds me of all the wonderful food delicacies or shall I say the lovely street food that is so hard to resist and ranges from the famous and loved by all vada pav to missal pav ,ragda petis , or the famous bhel puri at the Chaupatty beach so surely they can represent the brand of a fast food Mumbai based eating joint. The Sunrisers Hyderabad are a set of very talented players with a lot of very talented players that show potential of performance So they would be aptly suited for being featured in an advert for a coaching institute that grooms and trains students for getting admissions into a college for higher education. Kings XI Punjab team is a collection of players who are an exuberant lot. They represent the effervescence and exuberance of the state of Punjab and its never die spirit. They seem best suited to be featured in an ad to be the brand ambassadors for the Punjab Tourism department. Delhi Daredevils is a team which is a mix of players who come from various parts of the world. Just like Delhi and its food they represent a mixed heritage and tolerance for one another. Therefore they can be the cultural ambassadors ofDelhi and its food and can be featured in adverts propagating the culture of Delhi, its food and heritage.